As you probably know, New York is one of the most solar-powered states in the US. In particular, Long Island is the hottest place for solar power in the Empire State. • Long Island saw 21 times more applications in 2015 than in 2012. 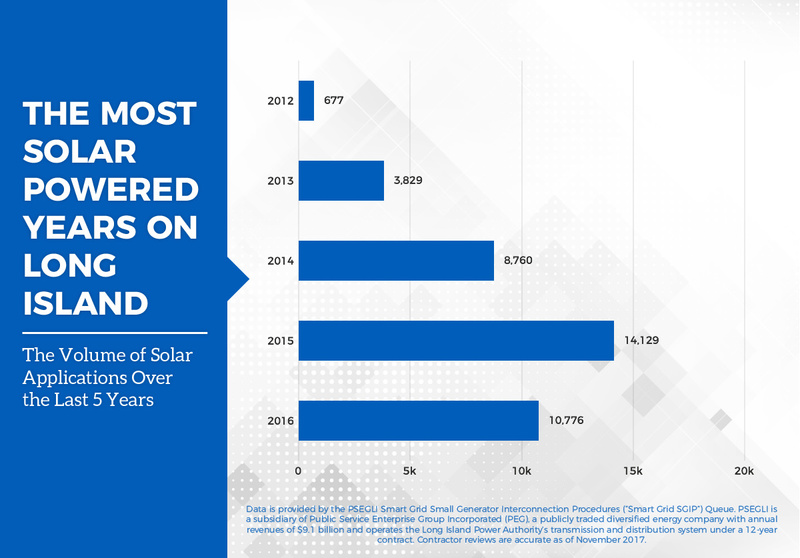 • Residents of Lindenhurst were the most interested in solar energy; the Town of Lindenhurst had more than 1,500 applications submitted over the last 5 years. 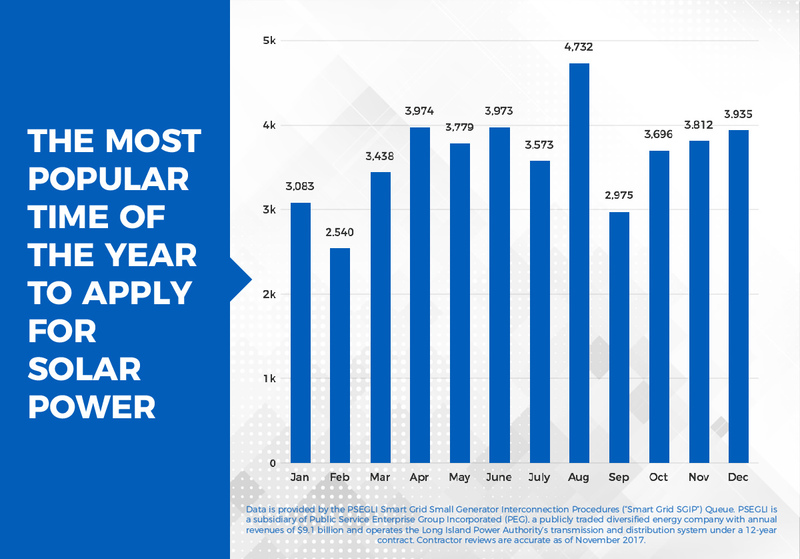 • August was the most popular time of year to apply for solar power. • Long Island contractors are handling thousands of applications for Solar Power installations and working hard to make it the most eco-friendly area in New York. 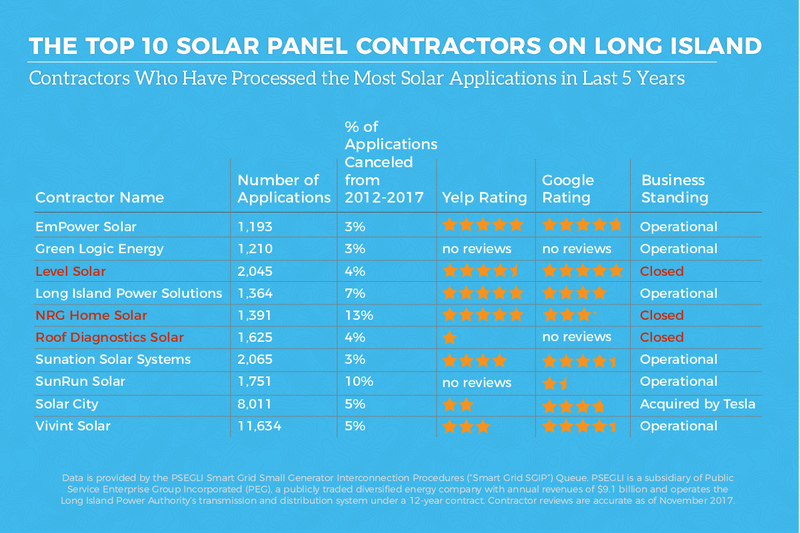 All of this data came from PSEGLI and was compiled by EmPower Solar. 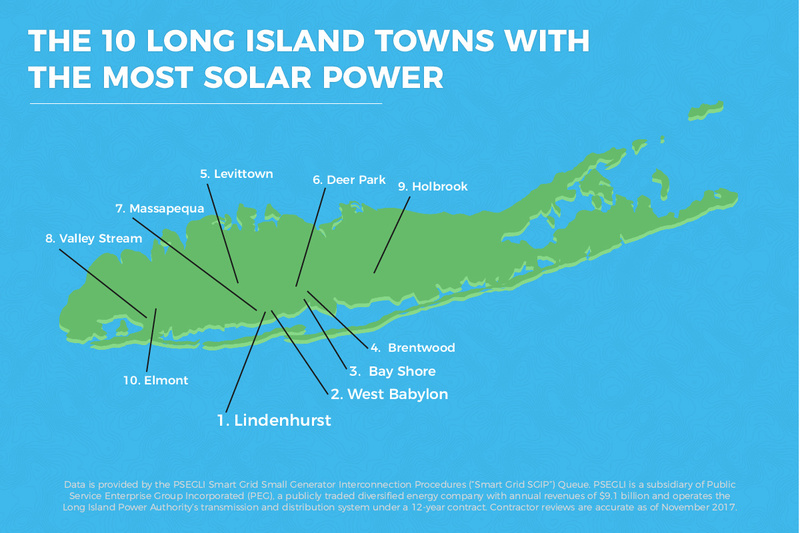 So check out this infographic showing solar energy trends on Long Island, NY. One of the big trends was that the biggest month for Sales was August.